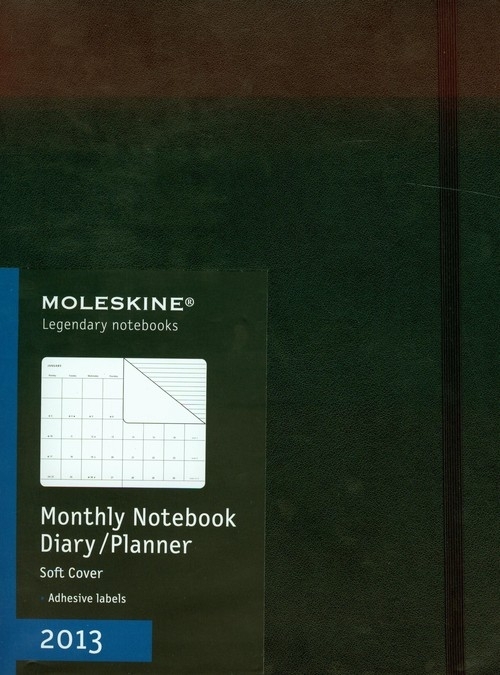 The Moleskine 2013 Extra Large Monthly Notebook is dated from Jan 2013 to Dec 2013. This planner shows each month on a two page spread. Then it has a double ruled page between each month to take notes, and after the 12 months there are 51 ruled pages. The perfect union between the organization and the freedom of the notebook.